Are you Cloudy to Partly Cloudy? Cloud Services (SaaS or Cloud) have come a long way. A lot of our competitors are afraid of the cloud – it means less time on site solving infrastructure problems (which means less money for them). Parsec is actively embracing all that the cloud can do for our customers – and for us! Cloud services enable us to get closer to the business process and further away from ‘techy’ infrastructure. Isn’t that what you really want any way? The cloud can be an integral be part of any infrastructure. When properly implemented, it is a secure alternative to costly alternatives. Still partly cloudy? 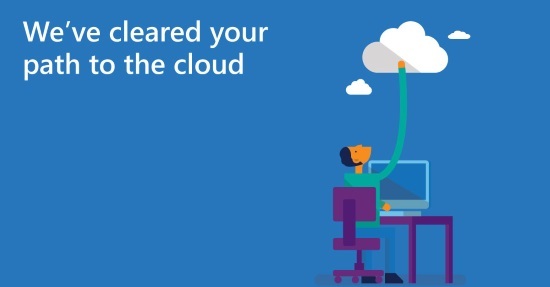 No worries – we can help you take your business to the clouds (and beyond). No longer is the Cloud a delivery system for IT, but an effective platform which enhances growth as has proven to be economically efficient for businesses. With Cloud Servers from Parsec, you’re building an infrastructure topped with flexibility, security and efficiency. We understand that every business has specific needs in order to prosper, and we deliver Cloud Servers that are fully customizable with resources such as firewalls and load balancing that can integrate on demand. Say goodbye to the usual server hardware problems and enjoy stable, fast and secure Cloud Servers from Parsec. Discover what Cloud Services from Parsec can do for your business.